Double CD jewel cases or 2 CD jewel cases can be used for the storage of CDs or DVDs as long as they meet the standard requirements for a proper jewel case. Many digital scrapbooking projects or other digital projects often cannot be stored on a single CD, DVD, or Blu-ray. Depending on the type of digital files that were created, two optical discs may be required. If this is the situation, then storage in separate jewel cases is acceptable but introduces some risk that the cases will be separated at some point and part of the project would be lost. It is best to keep digital scrapbooking projects and other digital projects together as much as possible. For projects that spread over two CDs or DVDs, 2 CD jewel cases can be the solution to this problem. 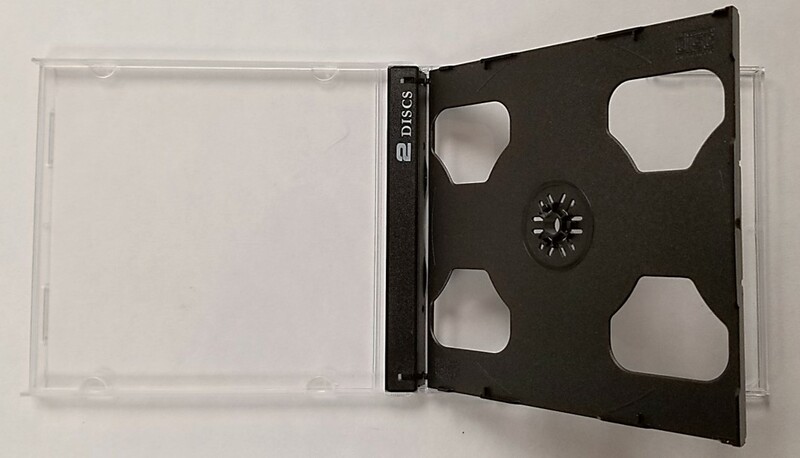 Double CD jewel cases allow for the storage of two CDs, DVDs, or Blu-rays in one case so that the discs stay together and this lessens the risk of them being separated. 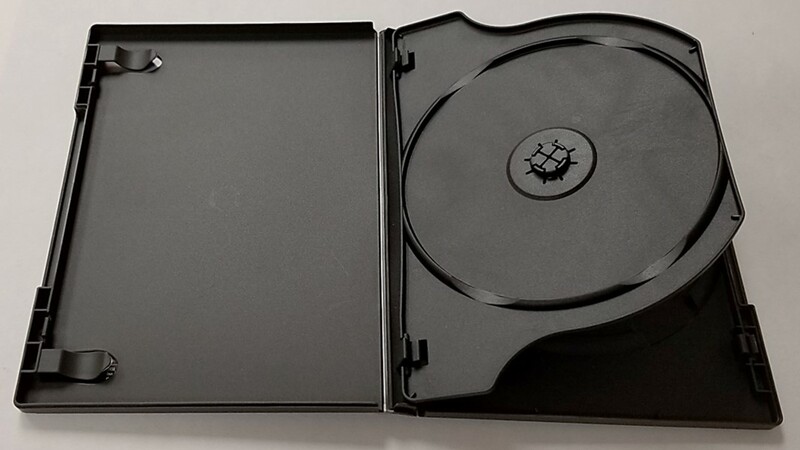 A double DVD or CD jewel case should contain the standard features to be acceptable for the long-term storage of optical discs. The double jewel case should contain two trays that support the discs at the hub. It is best that the discs in the jewel case are not facing each other and are not too close together when the case is closed. In other words, the holding trays should be back to back. The lid should snap shut to avoid accidental opening of the jewel case. The tray pivots on the spine of the jewel case, like a page in a book, for easy access to one disc or the other. An example of a jewel case that can hold two discs is shown in the following image. Amaray storage cases can also be found in the two-disc storage format and this is illustrated in this image. Both sides of the pivoting tray contain a hold tray, although only one side is shown. The double CD jewel case should not be slimmer than two standard CD jewel cases in order to provide maximum protection for the discs stored inside. A standard jewel case is 10 mm and so the 2 CD jewel case should be close to 20 mm. Unfortunately, many double jewel cases that are readily available are only 10 mm thick. In these cases, the main issue is that the bottom disc is very close to the surface of the case and this exposes the optical disc to potential physical damage. Slim double disc jewel cases are also available in a thickness of 5 mm. The thinner cases are not recommended because the disc surfaces are very close to the surfaces of the jewel case and once again, this can lead to disc damage such as scratching. In addition, the discs are facing each other when these slim cases are closed, which can lead to the discs rubbing against each other and damage. If you need to store 2 CDs in one case, then make sure the case is at least 10 mm in thickness and not the slimmer version and ensure the discs are stored on opposite sides of the tray. If you can find thicker cases, those are preferred.